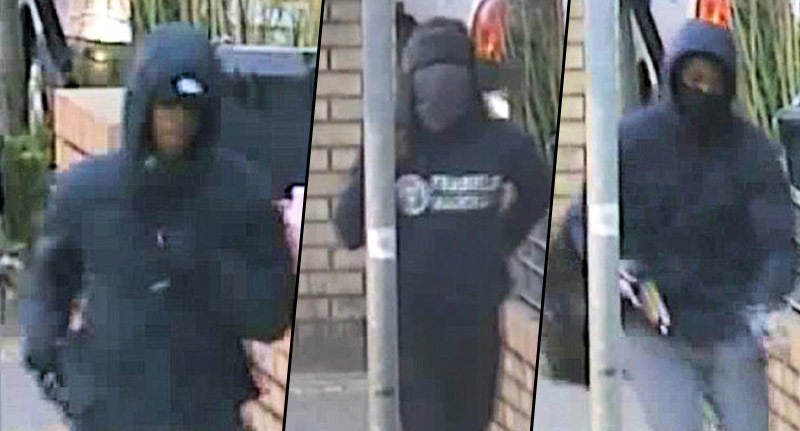 Metropolitan Police have released CCTV footage of an attack by three men in black hoodies wielding a sawn-off shotgun in Brixton. The gang shooting, which injured two people, took place in broad daylight in May this year on a busy street where schoolchildren were walking, the Guardian reports. 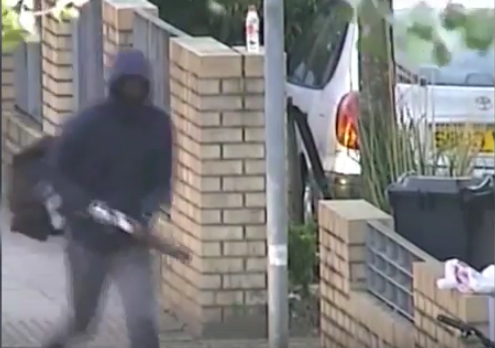 In the video, a 21-year-old man is shot in the chest but manages to stumble and run away, and a later clip shows a gunman on a bicycle pointing the shotgun at passersby. The man miraculously made a full recovery despite close-range shots puncturing his lung and windpipe, and the 16-year-old, who was on his way to the library when he ran into the path of the gunman, suffered a minor wound to his arm. The police have also released these three still images of the suspects in a public appeal for information. Detectives from the Met Police’s specialist gang violence unit, Trident and Area Crime Command, are investigating the assault. The 21-year-old victim was fortunate to recover from what were potentially life-threatening injuries at the time of the incident. Other passersby were threatened by having a shotgun pointed at them – these are dangerous people. We are keen for the public to give us any information in relation to this appeal. It happened in broad daylight and in an area full of schoolchildren.